Will.i.am expresses his opinions at the American Music Awards about the upcoming posthumous Michael Jackson album release. 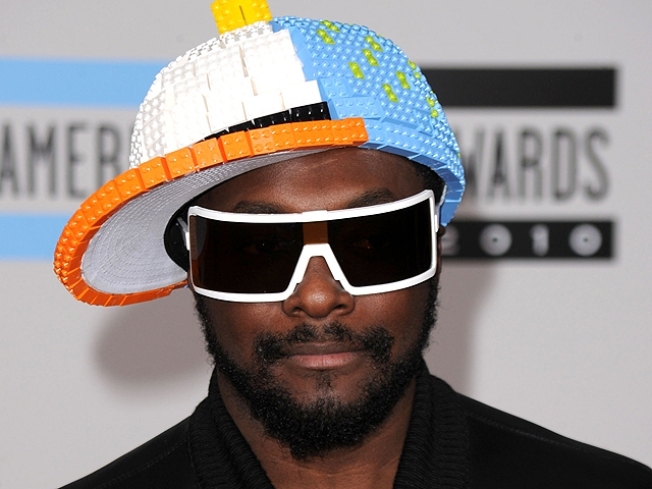 Will.i.am is singing out in movie theaters for Oprah Winfrey's new cable venture. Starting Friday, a song written by the Black Eyed Peas member will be heard as part of nationwide theater advertising for the OWN channel. The song, titled "Own It," is part of the new channel's marketing campaign and will be the theme song for a talent show on OWN. The song "Own It" also is a bonus track on the newly released Black Eyed Peas album, "The Beginning." Winfrey's cable network will launch on Jan. 1. Its full name is OWN: Oprah Winfrey Network. A joint venture of Winfrey's Harpo Inc. and Discovery Communications Inc., it will replace the Discovery Health channel. Will.i.am will be featured on the OWN channel next summer in a series about the creative process.